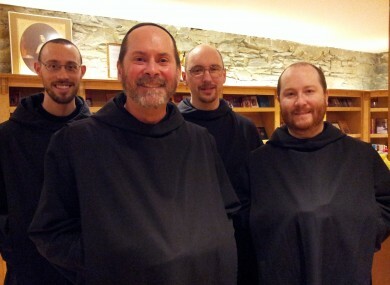 A NEW MONASTERY home to eight Benedictine monks from Tulsa, Oklahoma, has been set up in the diocese of Meath. Late last week, Bishop Michael Smith presided at the “canonical establishment of the new monastery at Silverstream Priory”. The monastery will be home to a community of eight who “follow the Rule of Saint Benedict” according to a statement. The community came from Tulsa, USA, in 2012 and occupies the former residence of the Visitation Sisters in Stamullen, Meath. Bishop Smith signed a Decree on 25 February “erecting the Benedictine Monks of Perpetual Adoration of the Most Holy Sacrament of the Altar as a monastic institute of consecrated life of diocesan right in the diocese of Meath”. This decree is believed to mark the first formal establishment of a monastic community in the diocese of Meath since the suppression of the monasteries by Henry VIII in 1536. Bishop Smith said, “The history of religious life has seen many developments over the centuries and I am delighted to recognise the unique presence of this new monastery in the Diocese of Meath. Email “First Irish monastery established in Meath since Henry VIII banned them”. Feedback on “First Irish monastery established in Meath since Henry VIII banned them”.